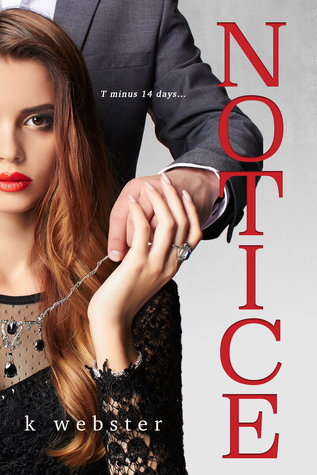 NOTICE: is a standalone dark romance novel by K. Webster. There’s more to Greyson Maxwell than meets the eye, when he wants something nothing stands in his way!! Violet has worked for Maxwell Subsidiaries for six years as Maxwell’s personal assistant. He doesn’t know it but she runs the show, without her the place would fall down around his ears. When that day arrives when she slaps her notice on his desk is the one day he notices her. It’s also the one day she wished he didn’t. But that ship has already sailed. Things escalate when it comes to Grey wanting to claim Violet as his, it wasn't so bad that he hacked into her computer found out where she lived, went through all her files, stalked her social media, but he kind of took it up a few levels more, broke into her house and would leave his mark over her body before crawling under her bed. 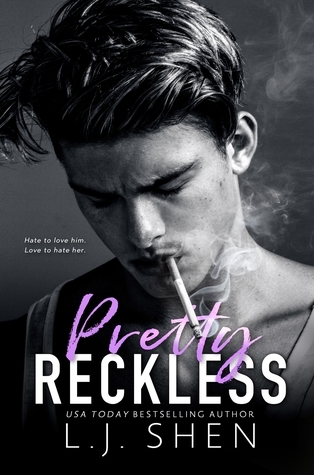 MY THOUGHTS: Hmmmm where to start, first off for me this wasn’t what I would class as dark, lovers of dark gritty reads will find this more on the sick side than dark, but for some this will be right up their alley. When it came to Grey, he had an obsessive personality, his stalking skills by passed mine, he had it down pat. I didn’t think I would connect or even like him as much as I did. Helped the he was hot. Once he had his eyes on the target he would go in for the kill. I kind of wanted more. 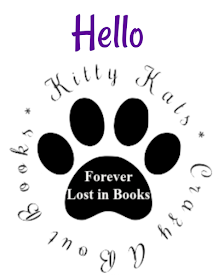 He was all things that all us females love in our book heroes, dark and broody, dirty mouthed, an alpha male in all aspects of his life, once he loved he loved fully and his character is what I really enjoyed in this book. I’m hoping we get to read more about his side kick since friends.